There are many different types of management jobs. Even for jobs with similar titles, the duties may change significantly from one company to another. Review these examples to get an idea of what's involved in some kinds of management positions. They can be helpful if you're pursuing a management career or creating job descriptions specific to your company as a small business owner. To access any of the sample descriptions you want to review, simply click the corresponding image. 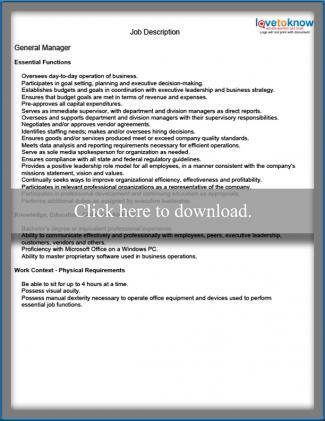 The document will open in a separate browser or tab as an editable PDF that you can save. To customize it for your own use, click in any line that you'd like to change and edit the text. This sample represents typical duties for a general manager. 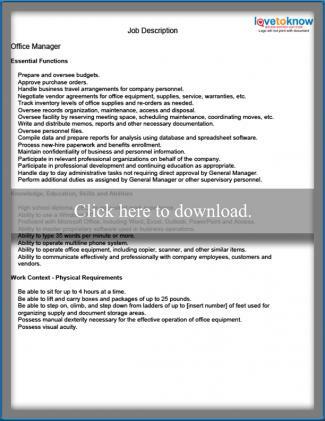 This example represents typical duties for an office or administrative services manager. This sample represents typical duties for an assistant manager in a retail environment. As illustrated by the examples here, every job description should state the essential functions of the job, necessary qualifications for the job and physical requirements. While job duties can vary greatly among positions, these samples can give you a good overview of what responsibilities are like for these jobs, and how to break them down for a job description. 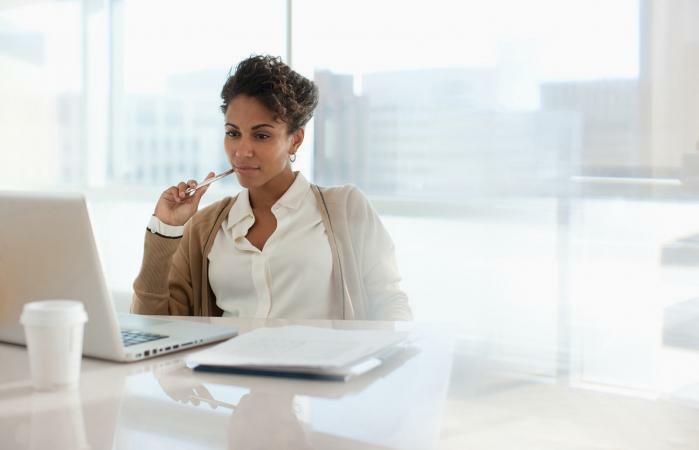 If you are using these samples as inspiration for writing job descriptions for your business, be sure to customize the document so that it accurately reflects what is expected in your work environment. Have your employment law attorney review drafts before putting them to use to ensure they are compliant with all state and federal requirements that apply to your company.